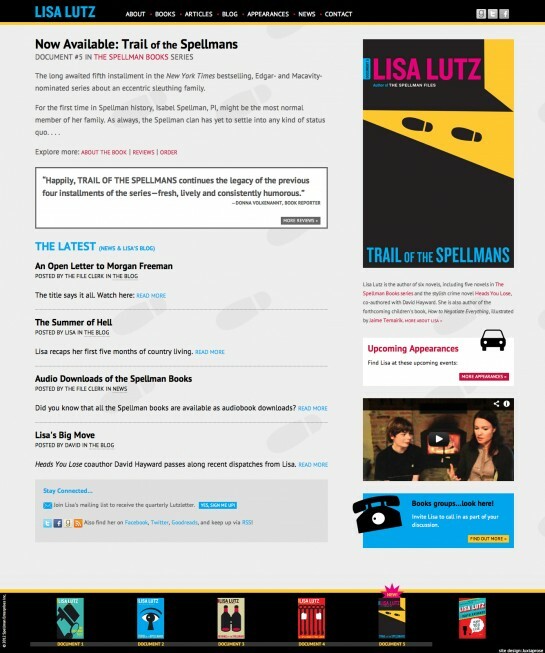 We designed and built Lisa Lutz's first website in 2007, around her first novel, The Spellman Files. Since then, we've created multiple sites for Lisa's novels (and their marketing campaigns). This latest site features all of the books in the Spellman series (currently five and counting) as well as Lisa's other books and writings.